The move by general manager Mike Rizzo fills a void with a left-handed hitter who's expected to split time at first base with Ryan Zimmerman. 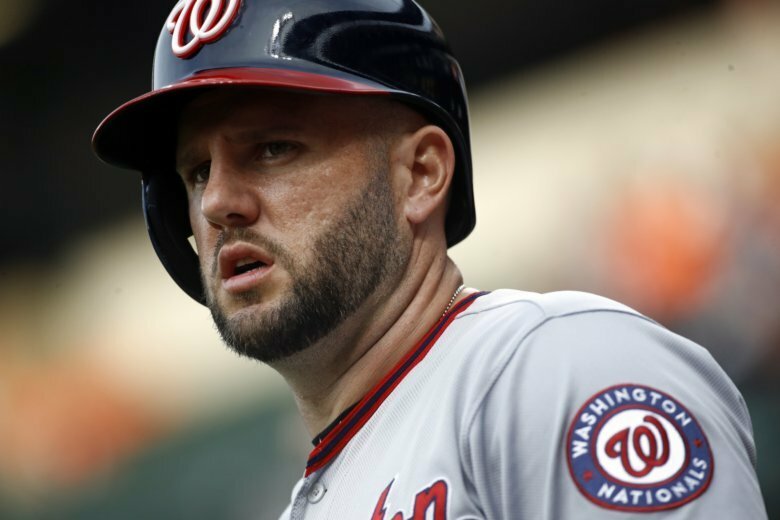 WASHINGTON (AP) — Matt Adams is returning to a Nationals team he believes is better than the one he was traded from and has the potential to make even more moves this offseason. Adams finalized a $4 million, one-year deal on Tuesday that includes a $3 million salary for next season and a $4 million mutual option for 2020 with a $1 million buyout. The 30-year-old first baseman is back with Washington after being traded to St. Louis in August for $50,000. While Harper is one of the top available free agents, Adams is the type of role player the Nationals were looking for. A career .266 hitter, he had 21 home runs and 57 RBIs last season with the Nationals and Cardinals. Adams might not have known a year ago how much playing time he’d get at first base. This time he’s comfortable with the uncertainty.